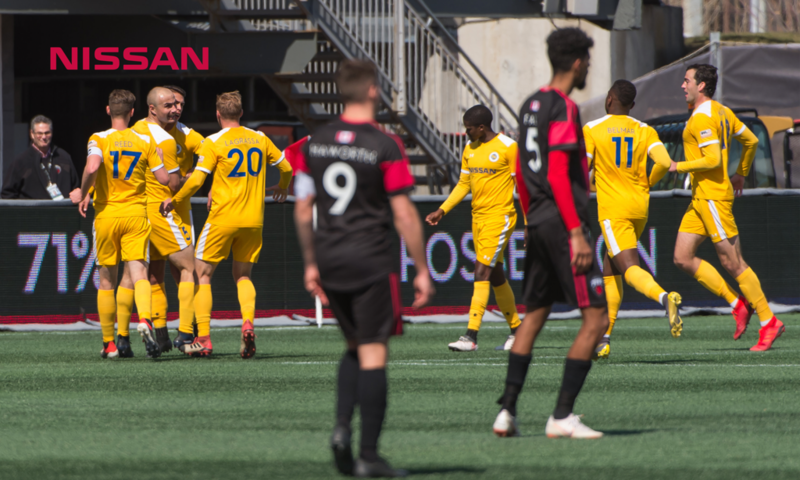 OTTAWA – Ahead of its huge showdown with Memphis 901 FC, Nashville Soccer Club took three points north of the border on Saturday afternoon against Ottawa Fury FC at TD Place with a decisive 3-0 victory. Daniel Ríos netted his first brace in a gold jersey, and Tucker Hume found the back of the net in his first start of the season. The opening moments of the first half saw both teams try to feel out the defenses with a few good runs in open play, and the best chance came from Ríos in the 5’ minute with a shot over the bar. From there, Ottawa controlled possession, but Nashville’s defense kept Fury FC’s attack to the exterior of the 18-yard box. Nashville began pressuring midway through the half and finally found a goal in the 33’ minute thanks to a Ríos chip over the Ottawa keeper off of a free kick feed from Justin Davis. The Boys in Gold would take that 1-0 lead into halftime. Nashville SC went right back to the attack in the second half and found numerous chances, including a Kharlton Belmar rocket that ricocheted off the crossbar. In the 67’ minute, Hume doubled Nashville’s advantage in the second half with a left-footed strike from the left post off an assist from Lebo Moloto. Ríos tacked on one more and sealed the deal for Nashville in the final 10 minutes of the match off a rebound that fell to him around the penalty spot. Nashville’s three goals match the most the club has scored on the road in its history. Nashville’s first MLS signing in Daniel Ríos has been an offensive juggernaut for the club through the first four matches. 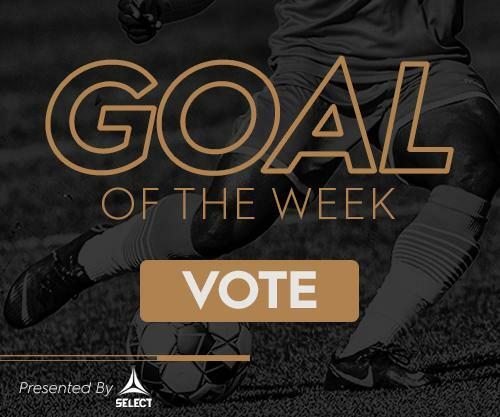 He has scored four of Nashville SC’s six goals so far, and his opening goal in the first half against Ottawa showed off his speed and technical skill. With fellow MLS signing Cameron Lancaster out with a hamstring injury, Nashville relied on Rios to provide an offensive spark, and he delivered. Rios also found himself at the right place at the right time to bury the third goal of the match on a rebound from a Belmar shot. Hume returned to Ottawa for just the second time since his 2017 stint with Fury FC, and he put on a show in his first start in 2019. He was a menace in the offensive third, using his big frame to wreak havoc in the box. In his 68 minutes of playing time, Hume took two shots and scored on one of them right before he was subbed off. He was able to feed off of Ríos by his side in the attack, as the two strikers were able to slice and dice the Fury FC defense. Nashville’s backline was one of the best in the USL Championship last season, and with the addition of new pieces like Ken Tribbett, it showed why it’s still a force to be reckoned with in 2019. Despite owning 65% of the possession, Ottawa Fury FC only mustered four shots against goalkeeper Connor Sparrow and the Nashville defenders. Only two of those shots were on target. For comparison, Nashville SC took 16 shots with six of them going on target. The midfielders and forwards did their part as well by striking quickly on the counterattack and running smooth passing combinations when in possession. With three points in the bag, Nashville returns home next weekend to face in-state rival Memphis 901 FC. You will not want to miss this matchup at First Tennessee Park. Kickoff is slated for 7 p.m. CT. For tickets, visit NashvilleSC.com/singlegame.